The locally graded disinfectants and sprays used for the purpose of quick fixing the cleaning issues in the office can bring a lot of harm for the employees. It is imperative for all the businesses to be familiar with the concept of green cleaning. A professional cleaning service is well-acquainted with the standard health protocols and using disinfectants which are not hazardous to the health of the people. The given pointers should be kept in mind while getting your workplace or business place cleaned. • You should be aware of the cleaning ingredients that are environment friendly. Most of the products will advertise itself as green products. However, this always not holds true. Therefore, it’s better to put your faith on the expertise of cleaning service than investing in hazardous products for getting a local clean-up done. • Use the technology that is energy efficient. The vacuums cleaners and other equipment should be energy efficient. 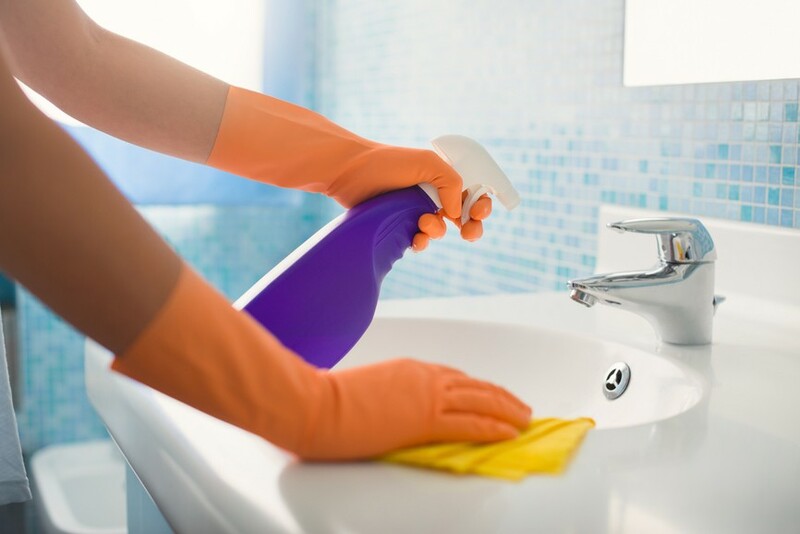 By spending a very few extra pounds you can get a professional and green cleaning done without risking the health of anyone associated with the place you want to get cleaned. Green Facilities is moving towards perfection. With its CEO – Manu Sareen becoming an ISSA CIMS Expert, Green facilities will expand its vision in the field of quality cleaning services. What is IISA CIMS Certification? CIMS is more than just a way for cleaning organizations to set themselves and their green cleaning operations apart in the marketplace. Individuals who wish to assist their customers in preparing for CIMS certification can become ISSA Certification Experts (I.C.E. ), while facility managers and others responsible for selecting a cleaning service provider can gain an increased level of confidence in their contractor by using CIMS and CIMS-Green Building (CIMS-GB) as a powerful pre-qualification tool. CIMS and CIMS-GB certification demonstrates an organization is prepared to deliver quality, customer-focused services and ensures an organization is capable of delivering a comprehensive green cleaning program based on LEED: EB O&M green-cleaning criteria. CIMS applies to an organization in its entirety, rather than to a specific individual, process or product, and without respect to the size of the organization. Training to become an ISSA Certification Expert positions an individual as an indispensable resource during tough times. Ultimately, becoming an I.C.E.-certified professional arms you with information about the critical factors that you can use to help your customers or your own organization meet demands from the highest management levels. Which company can be called IISA CIMS certified? CIMS applies to management, operations, performance systems, and processes. Compliance with the Standard demonstrates an organization is structured to deliver consistent, quality services that are designed to meet the customer’s needs and expectations. It sets forth processes, procedures, and supporting documentation proven to be characteristic of customer-driven organizations. CIMS is non-prescriptive and each individual organization has the flexibility to choose the most effective ways in which to meet its requirements. After attending an official Industry Certification Expert Training Workshop and successfully passing an examination to reach to this level, Green FM CEO – Manu Sareen has become an IISA CIMS Expert. With this achievement he hopes and promises to promote Green FM as a professional cleaning organization run by ISSA CIMS expert. The certification will help Green FM manage and operate cleaning services to their best. This certification will equip it to deliver consistent, quality services that are designed to meet the customer’s needs and expectations. With this certification, Green FM , CEO – Manu Sareen envisages to implement a more effective management framework and efficient green cleaning program to improve operational efficiency and better serve its customers. Trends in the commercial sector for green cleaning. One of the most popular phrases heard in the commercial sector these days is ‘green cleaning.’ Consisting of ecologically conscious cleaning methods and products, green cleaning is intended to provide a safer environment. The Guardian reports that green cleaning methods involve fewer chemicals, which are notorious for causing rashes, respiratory distress, and chronic headaches. Additionally, there is the overwhelming concern that chemical cleaners creates long term hazards in the environment via air, water and land pollution. However, some wonder if green cleaning is just a fad, and if not, what they should expect to see in this trend for commercial cleaners. Some wonder if green cleaning is merely a method that will lose its popularity in the next few years. Not the case, according toServices Building Service Contracting Industry and the BSCAI, following an interview with industry experts. Thanks to requirements by regulatory systems, such as LEED and CRI certification standards, green cleaning is becoming the norm. Green, for manufacturers, offices and governmental buildings, encompasses more than just cleaning methods. Going green includes everything from choosing eco-friendly paint and furnishings to optimising the use of outdoor lighting to reduce energy consumption. In addition to saving industries money on long term utility usage, going green creates a better environment to work in for individuals. So, yes, green cleaning is becoming the new norm that you can expect to see more of in the future. 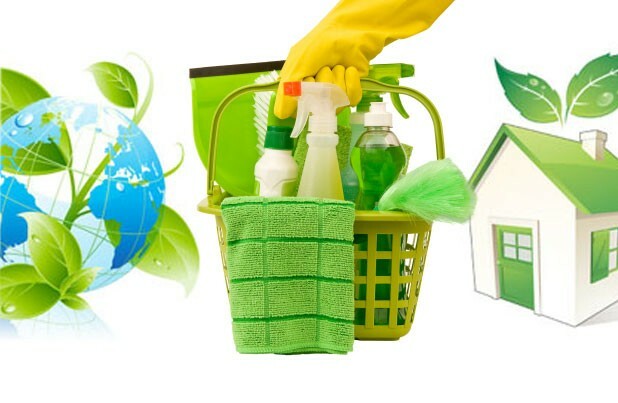 One of the largest focuses of green cleaning is the use of eco-safe cleaning treatments. According to the Occupational Safety and Health Administration (OSHA) in the US, green cleaning is defined as the use of cleaning products that are considered less harmful to one’s health and the environment. In other words, you cannot use conventional cleaners including ammonia or bleach in green cleaning. Yet some industry experts say that even with green cleaning there is no way to completely clean without chemicals. On the contrary, green cleaning simply ensures that only safe chemicals are utilised. Other experts argue that it is entirely possible to clean without the use of chemicals. For example, the Norway company Norwex provides cleaning products that are considered green via microfibre cloths free of chemicals. Another company offering green products is Orbio, which has invented a salt-based steam cleaner used by companies in the Netherlands, the International Space Station and California universities including Chapman. In addition to regulatory agencies that set the bar for green environments, such as LEED, there are now industry awards doled out to organisations that follow through with green cleaning. The Ashkin Group, LLC is touted as the go-to group for all things related to green cleaning. The founder is considered the ‘father of green cleaning,’ having written several books on this form of cleaning. In order for commercial properties to increase their visibility in regards to being eco-friendly in the public eye, they can nominate themselves for a green cleaning award via The Ashkin Group. This designation can increase a business’s visibility as being a leader in an eco-friendly environment. As a supporter of the British Institute of Cleaning Science, The Ashkin Group recognised as a leader in the green cleaning industry. The green cleaning world involves choosing safer alternatives for cleaning. 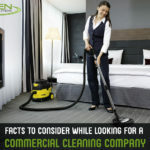 While there is still a debate on whether green cleaning involves chemicals or not, the basic premise remains the same. Going green with cleaning is safer for the individuals involved, as well as for the environment as a whole. As the building and commercial industries push forward with healthier work spaces that use fewer natural resources, we can expect green cleaning to become more of the mainstream. The current concerns with going entirely green is the sheer cost of completely changing a commercial size cleaning system, as with the case of installing salt-based cleaners. 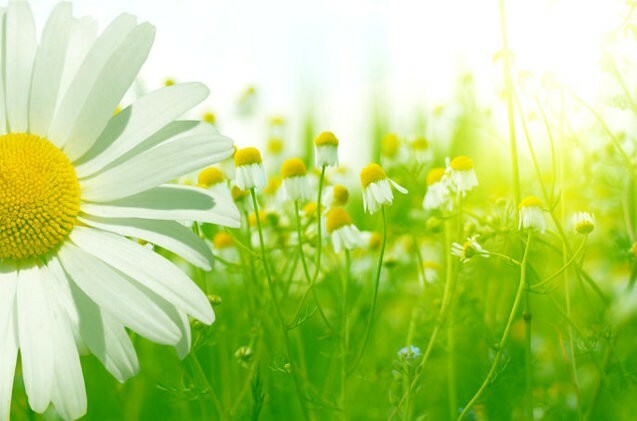 However, as the green industry continues to evolve, the methods used for green cleaning, as well as green building, will become part of the norm. When it comes to your home, you are probably very aware of your carbon footprint. But did you realize you could be doing a lot more? Your business cleaning service may be using products filled with chemicals that you would never consider allowing into your home. Here are 6 steps to make sure your cleaning service is keeping your business a safe, green environment. 1. Give them an alternative to commercial furniture polish. Obviously you want your cleaning service to polish your office furniture to a high sheen. But they can get the same results as a commercial furniture polish with natural ingredients. Ask them to use a blend of vegetable oil and lemon juice in the following ratio: ¼ cup lemon juice to ¾ cup vegetable oil. They can mix up a batch and put it into spray bottles for each cleaning person to be used the same as regular furniture polish. 2. Help the recycling process. Help make sure your cleaning company recycles your company’s trash by supplying clearly marked recycling containers at every employee’s desk. However your local recycling company prefers plastic, glass, metal and paper to be separated, make sure it’s easy and convenient for both your cleaning service people and your employees to sort their recyclables. 3. Ask them to skip the bags. Cleaning services will typically line every small trash can with a plastic bag after they empty the rubbish. Ask them to skip the plastic bags. Make employees responsible for keeping their personal trash barrel clean. Instead of having the cleaning service use endless rolls of paper towels cleaning your office kitchen and windows, provide them with washable cloths. Lint-free cloths work even better for clear, streak-free windows. Typically, cleaning crews work at night, after everyone has left for the day. While this makes sense so they don’t interrupt the workflow of the office, it requires you to leave the lights on nearly all night until they arrive and finish cleaning up. Instead, see if they’d be willing to reschedule their work routine so they arrive in the early morning, before your employees arrive. They’ll be able to work in the morning sunlight instead of the incandescent bulbs in the office. 6. Use the power of steam. 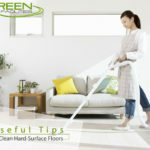 If you provide steam mops for your cleaning service, they’ll be glad to save money on expensive floor cleaning chemicals. Steam cleaners work great on tile, linoleum and even hardwood floors. The initial investment that you’ll have to make will pay off in how green your office cleaning service has become. As you can see, there are lots of ways that you can help the environment when you decide to green up your cleaning service. And that’s the kind of change that can help all of us.